RIO DE JANEIRO – The Queen of England’s official birthday is celebrated by the British and Commonwealth Society (BCS) in Rio this Friday. 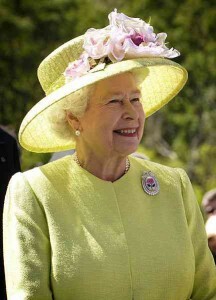 April 21st 1926 was the actual day of HM Elizabeth II’s birth, and is still celebrated as such, but her official Birthday Parade in England takes place on either the first, second or third Saturday of June, this year falling on June 12th. The British and Commonwealth Society celebrates Queen Elizabeth's official birthday this Friday in Botafogo, photo by NASA. The reasoning is the notorious nature of the English weather. It was decided that the chances of better weather in June were considerable, and that for the Trooping of the Colour and associated Parade that take place in front of Buckingham Palace the new, fluid date was set. Of course in Brazil it is less likely that the weather will have an impact on proceedings, the British and Commonwealth Society nonetheless follows suit with their celebrations, which this year take place slightly earlier than usual on Friday May 28th. The BCS took over the running of the event in Rio when the Embassies reluctantly made their relocation to Brasilia some time after it became the country’s capital city, continuing the expatriate community’s chance to celebrate together. The British Consulate also began a midweek celebration, but with their focus on business links there remained a desire for a popular event, which the BCS have continued on an annual basis at the Jubilee Hall in Botafogo. Official Queen's Birthday Party invitation, image provided by BCS. The emphasis is very much on celebrating the occasion for the ordinary British person living in Rio de Janeiro, but everyone is welcome, with entry taking the form of raffle tickets – one for members, two for non-members – costing R$25 each. First prize in the raffle is an international air ticket. Food and drinks are provided, and it promises to be a quintessentially English occasion located at the Jubilee Hall behind the Anglican Church at number 99 Rua Real Grandeza in the heart of Botafogo. For more information or to make your reservation, please visit the BCS Web site.